The group is called Copenhagen Suborbitals and they’re run by a brainy combination of a former NASA contractor and an engineer that builds submarines as a hobby. All the money they use on the project comes from regular people donating and even their staff are groups of volunteer experts who want to see their rocket take flight. 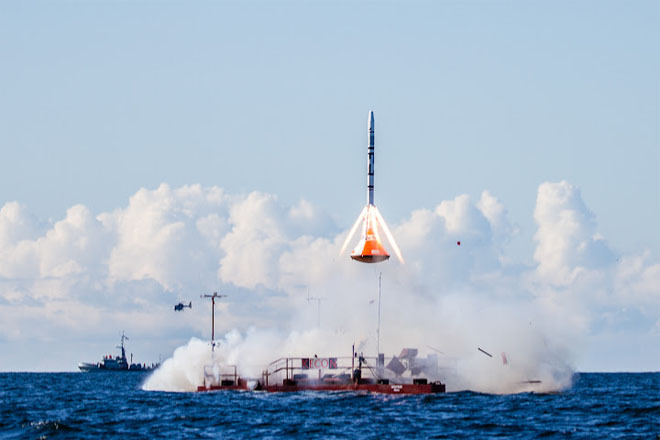 The goal of Copenhagen Suborbitals is to send a small, one-man rocket to the edge of space and back. It will only be a short, 15-minute ride, but it will mark a great moment in the world of small-scale private space exploration enterprise. They’re not trying to do this in some effort to advance the space industry or even to get famous and land themselves a job with some big-name private space company. They merely wish to change the way people see space flight in our time, as an obtainable, personal goal of every man that’s not relegated to the world of big business. So far, they’ve managed four test launches with each near-miss helping to make their design better and better and not discouraging them from achieving complete success. They’ve had to battle against public opinion along the way as well, with some people declaring that those involved are insane and others even accusing them of using the project as a front for money laundering. But their persistence has paid off and the solid evidence is there to prove that. More than half-a-million dollars has so far been thrown at the project and nearly 50 skilled volunteers have come onboard to lend their expertise. This is, in my opinion, an amazing project and one that shows that space exploration is not some far away, expensive and seemingly unobtainable thing. These few are giving inspiration to the world and they and others like them will likely become a crucial part of humanity’s future grasp as space.